The range of products include frozen compensated Beef meat, which includes the hind quarter cuts such as topside, silverside, thickflank, rumpsteak, tenderloin , striploin and forequarter meat comprising of blade, cuberoll, chuck tender, brisket and shanks. 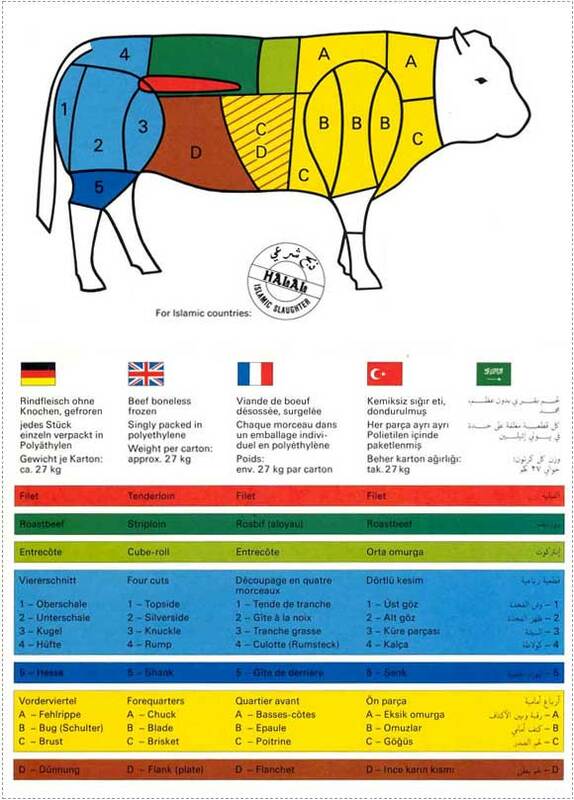 Key Specifications:The Nasser Middle-East Consulting enjoys the distinction in exports of frozen meat products to various destinations across the globe, including countries in middle east, europe and africa. We have abattoir complex which is approved by partner, incorporating livestock quarantine facilities, chilling, deboning, packing, freezing and cold storage facilities at strategic locations, and also own a fleet of frozen containers for movement of finished products to the ports. The range of products include frozen compensated beef, which includes the hind quarter cuts such as topside, silverside.